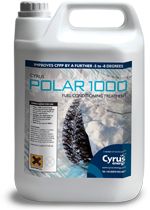 With fuel now the single most expensive factor of operational costs within the agriculture industry, Cyrus Agricon fuel provides the perfect solution. 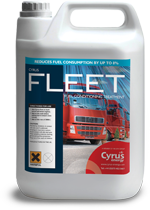 Cyrus Fleet has been specifically developed to meet the demanding requirements of the road haulage and commercial vehicle sectors. 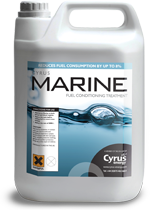 Cyrus Marine provides an effective fuel treatment to meet the unique and highly demanding conditions found in the marine sector. 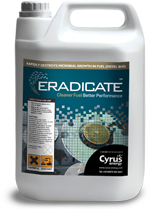 Cyrus Eradicate rapidly destroys microbial growth in fuel oil, fuel storage tanks, bilges and fuel distribution systems – eliminating potential engine damage. 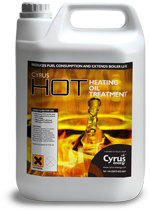 Formulated for application to home heating oils, HOT is a highly effective cleaning agent, based on organic solvent, which safely removes soot and carbon from domestic oil fired burners.